Just like the changing colors of fall leaves, we’re loving the changing colors of our fall wardrobe. From pops of color to our trusty neutrals, here are a few of our favorites for the season. This energizing tone will brighten your wardrobe for the chilly fall days and nights. It makes a great layering color or stand-alone statement piece, plus it’s perfect for transitioning into the upcoming holiday season! This soft feminine tone makes a nice alternative to the classic burgundy tones of fall. We love the way it looks paired with a blue jean and booties, or dressed up with metallic tones. You can never go wrong with a staple neutral color and these cozy oatmeal tones are our choice for fall. Use this color as a base to build your outfits or style an entire outfit for a monochromatic tonal look. Add drama to your wardrobe with this rich, cool toned green. It adds an unexpected elegance in any fabric choice. Intensify the color with some gold statement jewelry. Rag & Bone has taken classic prepster style and turned it on its head with punk flair for fall. It’s the perfect mix of the traditional patterns and silhouettes that you’ve grown to love, offset with something a bit unexpected. 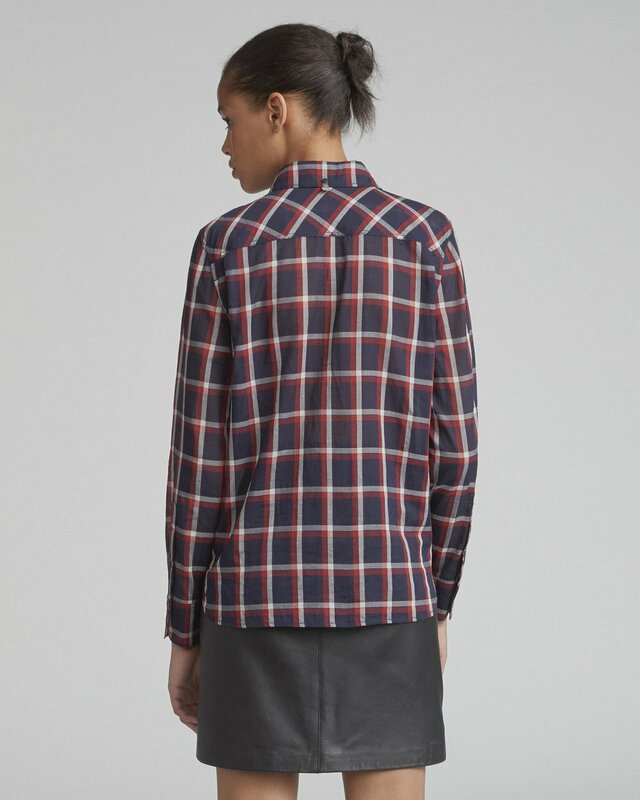 Plaid and fall go hand in hand and we love this take on the classic button down in navy and red. Edge it up by tucking the front into a leather skirt with black ankle booties, or styling unbuttoned over a Rag & Bone graphic tee with distressed boyfriend jeans. An ivory and navy nautical striped sweater is an instant preppy classic, but it also provides a neutral base to kick off your punk rock look. Style yours with a downtown edge paired with super distressed skinny jeans, cargo pants or coated denim. 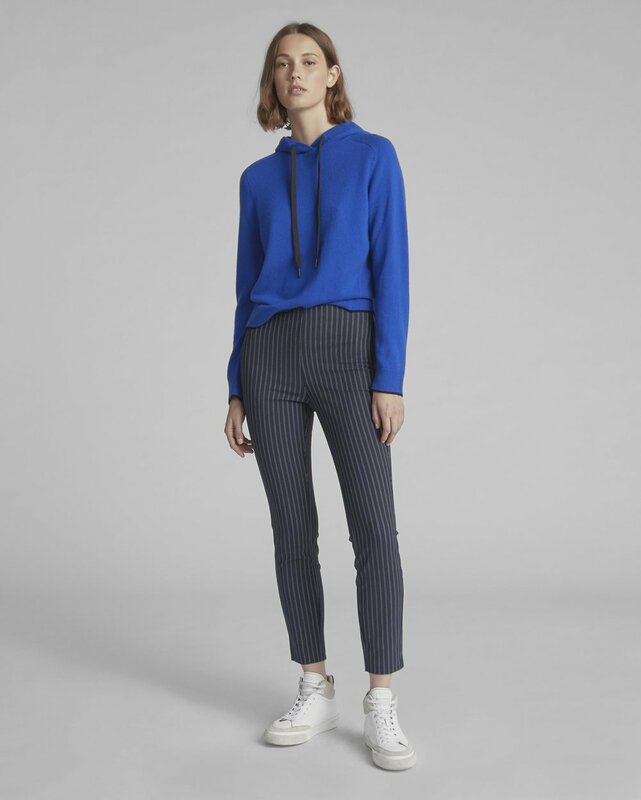 We can’t forget about the Rag & Bone Simone Pant, which come in two preppy prints--navy stripes and burgundy plaid. The high-waisted silhouette is the perfect pairing for a tucked cheeky graphic tee, or cropped drawstring hoodie. Don’t forget some sneakers to tie it all together! There’s no hiding from camo this fall… Don’t let the edgy style intimidate you! There are so many ways to wear this print, from casual weekend wear to city chic. This jacket from Pam & Gela is the ultimate statement piece for your fall wardrobe. The cotton canvas jacket is lined with a leopard print faux fur, has edgy lace-up detailing in the back and a drawstring waist to add shape. Style with jeans and a simple tee or use it to add an extra something to your favorite little black dress. Fun fact-- the faux fur lining can be removed for a subtler, lighter weight layer! Our favorite pants from Sundry, Le Soleil, now come in a camo print for the ultimate weekender style. We love the navy tone as an alternative to classic army green. The frayed hem and cropped silhouette complete the casual style to pair with a cozy knit sweatshirt, puffer vest and sneakers. Perhaps the subtlest of our camo prints is the Majestic Filatures wool and cashmere turtleneck. This is a great way to dip your toes in the trend and add a camo piece into your wardrobe. The grey and oatmeal tones keep it neutral and versatile so you can pair it with your favorite denim, as well as the fall colors and textures of a suede skirt or cords. Fall in love with the latest cozy, casual pieces from Eileen Fisher! This season is all about layers and we’re loving the Chevron Recycled Nylon Vest that comes in two colors--perfect for topping off your favorite Eileen Fisher organic cotton tops and cashmere cardigans for the crisp, cool days ahead. Don’t forget to grab a pair (or two!) of the jersey slouchy pants and a gorgeous fringe scarf to complete your cozy fall ensemble. And what better way to shop the collection than with a hot cup of tea! In the spirit of Eileen Fisher and supporting our community of female entrepreneurs, we’re proud to partner with Tea Bar, a locally owned business, to serve up delicious Cardamom Chai and refreshing Moroccan Mint tea while you shop! Stop by the store today through Sunday, September 23 to shop new arrivals and receive $25 off your Eileen Fisher purchase of $75 or more! Inspired by a gap in the market for flattering, well fitting jeans, Mary Ellen Moschetti created Parker Smith with a focuse on fashion, fabric and fit. Founded in 2014, the collection is made from start to finish in Los Angeles using the highest quality fabrics, lead by an all female team. The jeans are loved by Miranda Kerr, January Jones, Lily Collins, Gigi Hadid and countless influencers. We're thrilled to host our first Parker Smith trunk show Thursday, September 13 - Sunday, September 16. See you there!